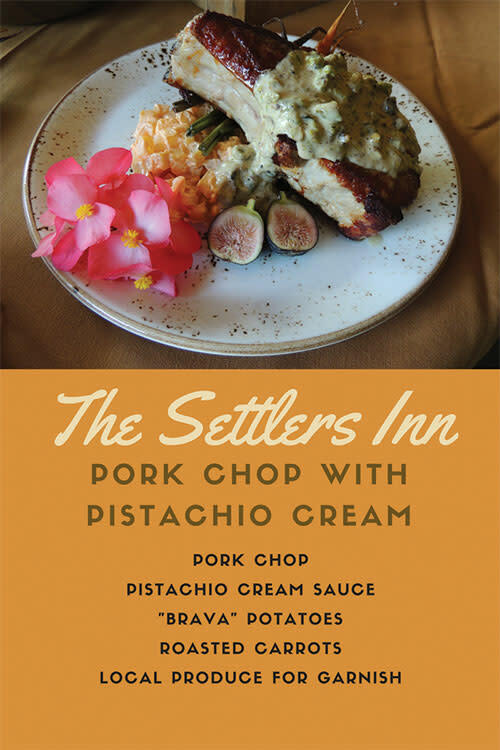 At farm-to-table dining destinations like the Settlers Inn at Bingham Park, fall flavors shine through locally sourced ingredients. 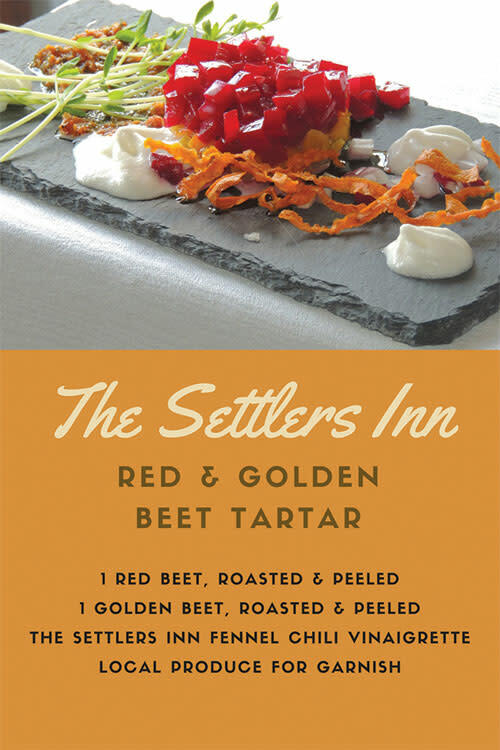 We stopped by the Settlers Inn for a sneak peek at some fall menu items. Executive Chef Ben Sutter took us through the plating of a Pistachio Cream Pork Chop with "Brava" Potatoes, and a vegetarian Beet Tartar with Fennel Chili Vinaigrette. 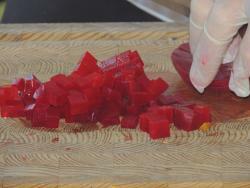 View the video of our visit for step-by-step instructions, and read on for full recipes. 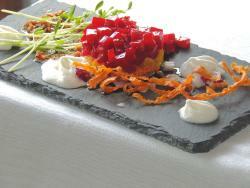 Keep them separate to create a layered effect when plating! No ring mold? 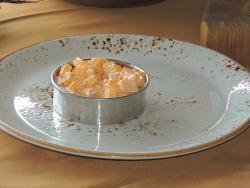 Take a cue from Kelly and use a cookie cutter! 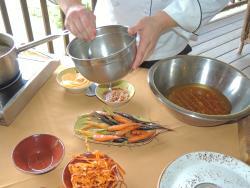 Chef Ben used figs, which grow into the autumn season, and edible begonia flowers from the garden at the Settlers Inn. 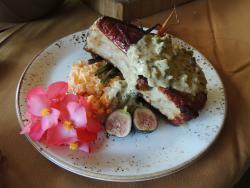 These and other fabulous fall dishes will be served at the Settlers Inn starting Saturday, October 8. 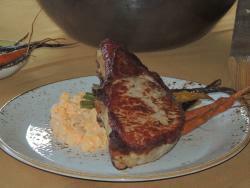 For more on menus and upcoming events, visit thesettlersinn.com. 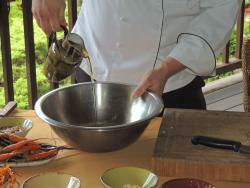 Stay tuned to our blog for more fall recipes from the Pocono Mountains. Want more videos? Connect with @PoconoTourism on Facebook, Snapchat, Instagram and YouTube! Upcoming posts include autumn hikes, how-tos, interviews and more fun from the Pocono Mountains. 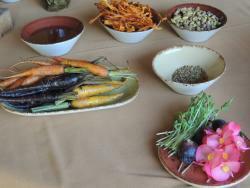 For autumn trip planning tools, visit our Fall in the Pocono Mountains page. Be sure to check the Fall Foliage Forecast while you&apos;re there. Leaves are already beginning to blaze!